Your browser does not support HTML5 and can therefore not play this video. With a video, you create greater interest, credibility, and commitment to your message. Need a better website so that you increase your opportunities to gain additional contacts for your business? Your online strategy should save money, increase profits, and help you communicate more effectively. No company can guarantee a top ranking, but our clients' websites are optimized for a top 3 ranking on Google! Responsive design creates a more flexible website and makes you more visible on Google after April 21, 2015! One major advantage of interactive e-learning is to have a tool that provides the ability to measure training effort. We work entirely in the digital landscape in a project-based business model with low overheads. Our case studie shows that being versatile is one of our strategic strengths! What choices will you make about your digital communication strategy? Whether it's a video presentation, responsive website, online marketing strategy, interactive e-learning, or search engine optimization of the website, we at Visuell Kommunikation have a genuine interest in our client's business, strategies and processes to achieve a successful outcome. In chess, it is important to have imagination and find your own solutions. Still, there are chess theories. 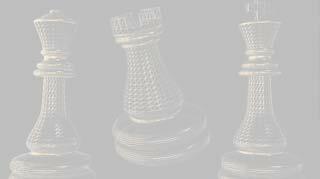 Those who are good at chess theory usually have a strategic advantage. Our origins are film and video, where one always combines theory with imagination and their own solutions in visual communication. Visuell Kommunikation is proud that our creative and strategic thinking have developed our customer's thoughts and ideas to achieve great success. Our well-documented ability to quickly understand our customers' business and processes—both locally and globally—is the key to our success. This means short lead times, efficient project management, and profitable project. We are a small, creative, project-based organization that collaborates with fantastic companies, both large and small, and have produced a variety of video productions and internet solutions. We always strive for long-term relationships, are humble to challenges, and are constantly looking for cost-effective solutions. Thanks to our project-based organization, Visuell Kommunikation always offers a sound pricing. With over 120 customers over the years and over 200 projects in various industries, the numbers speak for themselves; we understand our customers' business and processes. Contact us today and we’ll give you the support you need to assist your strategic choice in the digital communication! To provide you with the right budget, we need to know a bit more about your expectations regarding how our services can create value for your business. On the form, you can briefly describe the service or product you want us to calculate on; it becomes a kind of budget quote! If you wish for further contact, please leave your phone number and we will call you A.S.A.P! Here are some testimonials we received from our customers through the years. We love working with Robert and Visuell Kommunikation and we really appreciate his genuine interest in our company, as well as his ability to continuously contribute with constructive suggestions for improvement. Visuell Kommunikation already had experience with work similar to ours, which helped facilitate our communication. We’re very pleased with the result, impressed by Visuell Kommunikation’s work methods and that they in addition to that manage to stay within budget. By using an interactive e-learning program provided by Visuell Kommunikation AB the risk for injuries on our workplaces are minimized. The interactive e-learning is a tool that provides the ability to us to measure our training effort in safety introduction on our work places. Our new site is built with responsive design and it will now be much easier for our customers to see the page in their smartphones. Robert has also produced two short videos located on the website and showing how we bake and cook in our kitchen, something that is appreciated by our customers..
Our site is now mobile adapted with responsive design! Everything went quickly and at a reasonable cost. It is the second home page as Robert produced the first we had already in 2011 and it has worked well, and above all it has top ranking on Google. Visuell Kommunikation have always been committed and shown exceptional insight and understanding of how our operation is run, and this has in each case resulted in presentations of the highest quality. You and your coworkers have completed projects in a very professional manner and all of us here at Sandvik Metal Saws who’ve been involved are very pleased with the result. We believe we chose just right when it comes to both message and quality. The fact is that Robert, before he was satisfied with his preparations, understood more about the overall situation than many of our coworkers. I’m very impressed by the serious work that Robert did at this stage. It was surely one of the main reasons that the end result was of such a high quality. I feel that the message we wanted to get across to the video’s target audience (internal customers) was made clear and I’m very pleased with the end product. I’m hoping for continued collaboration in the future. It’s been a fun project on my part; not least the filming itself. Our collaboration worked incredibly well and I felt already in our first conversation that I could lean against the shoulder of a professional in the business! The video was appreciated by our own scouts and ’scouts-to-be’ alike. What made it particularly great are the interviews with scouts from different age groups – everyone can relate. The interview with the king was obviously amazing, you couldn’t ask for better PR. There aren’t many who can compete with Robert’s high ambitions and commitment to the task at hand. The quality of the material he produced and the business video were also first class. We’ve received a very positive response from the outside world and from our principal owners in the US. Even though you were given a tight production deadline you quickly managed to familiarise yourself with our products and the way we operate. We’ll get in touch shortly and are looking forward to continue our collaboration in the future. We’re amazed by how effectively you handled the project. It’s been plain sailing throughout production and we couldn’t ask for a higher quality of professionalism, creativity and end result. Visuell Kommunikation create good quality content and then hire the technology, which enables them to choose their technology depending on place and need. This keeps the costs down. Visuell Kommunikation contacted us and presented us with a general idea of how we would be able to use video to reach our customers. It hasn’t been an easy job, as the conditions have changed under the process of production. The film is now finished and we’re very pleased with the end result. In the film we visit some of our most important customers in Finland, Germany and Spain. These visits generate a lot of interest whenever we show the video. During these visits the filming team at Visuell Kommunikation skilfully and effectively connected with our customers. We’re impressed that you even under the pressure of time managed to get your heads around our business and could convert this into film in a very illustrative way. The film will without a doubt be a great tool and become a valuable pacesetter for our marketing strategies. The video has received a huge response which has resulted in increased orders, not to mention contact with new prospective leads. Our business idea is there like a common thread throughout the film, and at the same time our products are presented in a descriptive and entertaining way. I think the collaboration with Visuell Kommunikation worked well. They worked at a quick pace and communicated without fault, which I appreciated greatly. If I’m to make another flick I’ll once again entrust it to Visuell Kommunikation, and that says a lot, I think! A heartfelt thanks for a film well-made and much appreciated by customers, providers and employees alike. Documentation is the art of describing events, objects, rooms, etc. in a brief and concise manner. Only a few are successful at this. After having seen your video about our institution I think you belong to the few chosen ones. My staff and I appreciate the well-balanced informative style. The image technology used was of the highest quality. The collaboration during the period of production itself was a pleasure and we admire the way you quickly understood our business and the message we wanted to get across to the market. We’re pleased – We’ve received nothing but positive feedback from our Swedish customers and agents, as well as from Europe, the US, Australia and Japan. Our fear of film producers has hereby been cured and we’re continuing our work with the follow-up programs. I’d like to especially thank you for the many great ideas that were presented in connection with the preparatory work. I personally think it’s important to carefully listen to external creatives in these types of situations. Our collaboration with the company that produced the film, Visuell Kommunikation, went incredibly well. The preparatory work was thorough. The film recording unfolded in a way that didn’t disturb our patients nor irritated our staff. We highly recommend Visuell Kommunikation. Making the film took 3 months. The most difficult part was getting a good enough text. You thought this, we knew this, you thought that… etc. Looking back it was good that you were so committed. The film is great and for that you deserve all the credit. On the whole you make the process less daunting, and for a person who isn’t used to filming and thinks it’s complicated, expensive and tiresome, that is essential. Thank you for the wonderful collaboration and your perceptiveness in ’catching’ our business concept in a fantastic way. It’s been a few years since you produced our business and factory presentation on video. We can now ascertain how much we’ve benefited and will benefit from these films. We’re pleased with the work you’ve done and have also received many positive comments on our business presentation. It should be added that when we showed the video to the FoU management at a big company in the US, everyone applauded afterwards – unarguably positive. My belief that careful preparatory work pays off has been strengthened. The pre study you did with some of our customers and agents in particular provided me with a thought-out foundation that I could use to build a presentation customised for my clients. We’re fully confident that our venture was worth it and we’re very pleased with the work and the nice video that Visuell Kommunikation created. Saab Instruments’ video is playing daily! After a month in use we’ve developed ’a positive addiction’ and that clearly means we’ve been given a film that corresponds with the requirements we had in the beginning. You will receive a feedback within 24 hours!